Is it finally time for your business to get a corporate credit card for employee use? If so, you need to have a corporate credit card policy in place before you start handing out the plastic. Otherwise, you will be putting your business at risk. Corporate credit card policies manage that risk and rid you of potentially costly liabilities. Find out what you need to include in your company-issued credit card policies below. 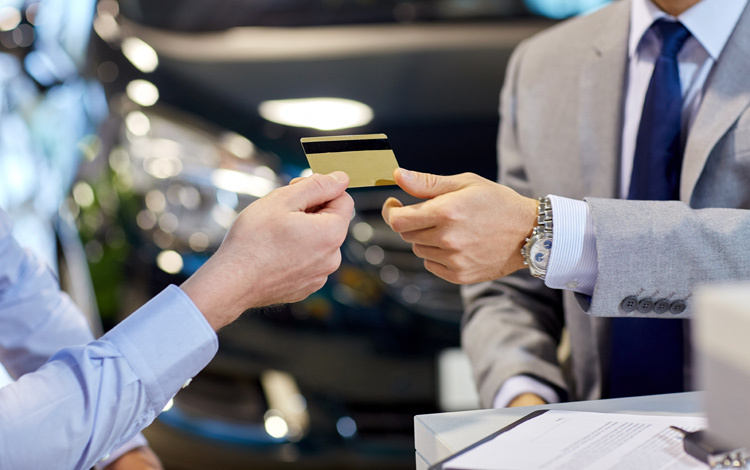 Corporate credit cards should only be used for certain business-related purchases. What constitutes a work-related purchase will differ based on your particular business. However, it is crucial that you put these acceptable corporate credit card uses in writing. Otherwise, employees may be more likely to try to sneak some personal purchases on your company’s dime. Setting standards for acceptable purchases helps eliminate confusion and reduces your business’s financial risk. A corporate credit card policy should include information about what documentation employees will be required to provide for their purchases. Will you require receipts for every single purchase? If so, how soon after a purchase will employees be responsible for providing that documentation? Will they be required to meet 30 days payment terms if they cannot provide documentation? How will the receipts or other documentation be submitted and organized? Include the answers to all these questions in your company credit card policy if you want it to be effective. Corporate credit cards should only be used by certain employees, not all. Make sure you account for this in your usage policy. Define what types of employees will have access to a company credit card. They will control how the spending goes. Choose the most responsible and trustworthy employees. Then, be sure to set a plan for how the cards will be issued to eligible employees. This way, policy roll out will be seamless. You will also need to establish the consequences for policy breaches. If there is an employee breach in policy, what punishments will they face? This part of your policy should also account for infractions of varying severity. For minor indiscretions, temporary suspension of company credit card privileges should be enough. However, you may want to take more serious actions for corporate credit card fraud or other severe policy breaches that cost you business funding. This is a must have element if you plan on allowing employee use of corporate credit cards. Corporate credit card policies should also include employee spending limits. Employees need to know how much they are allowed to spend. Otherwise, they may run up quite the bill for your business. Determine how much employees can spend daily, monthly and quarterly. You should also consider specific employee uses. Some positions may require higher spending limits, like those in sales. Setting spending limits within your employee credit card policy will help your business avoid costly financial mistakes. Additionally, you can set up corporate cards in a couple ways to fit your employee credit card policy. Firstly, the individual payment credit cards require the employee to pay for the direct expenses. Then, the employee submits expenses to the company for reimbursement. Alternatively, the company payment policy works where the employer pays for any charges. Afterwards, the charges are reviewed and either approved or denied. Of course, any rejected charges are liable to the employee making the unauthorized charges. In both scenarios, the corporate credit card setup should complement the company policy that you wish to implement. Corporate credit cards can come in handy for employee use. But employee credit card use comes with a lot of risk. That is why corporate credit card policies are such an integral part of business finance. These policies are no less important than your invoice system. Make sure to include the elements detailed above in your employee credit card policies to help your business continue to grow and succeed.